Which is about being a different kind of songwriter in the music business. I write about the craft of songwriting, and how we need to write for radio friendly songs now, as well as how to sustain a career in the music business. This Hit Song Mastermind is a 6 week course of going through hit songs on the radio, going through your songs, gaining feedback on your songs, and giving you the tools and techniques to be a successful hit songwriter. Or sign up with our Payment Plan! Gilli Moon is an unrelenting creator of music and creative community. Her performances as musician-singer/songwriter-performer are a treat in and of themselves. She is constantly creating her own cutting edge and leading the world community with her forward vision of artistic renaissance. 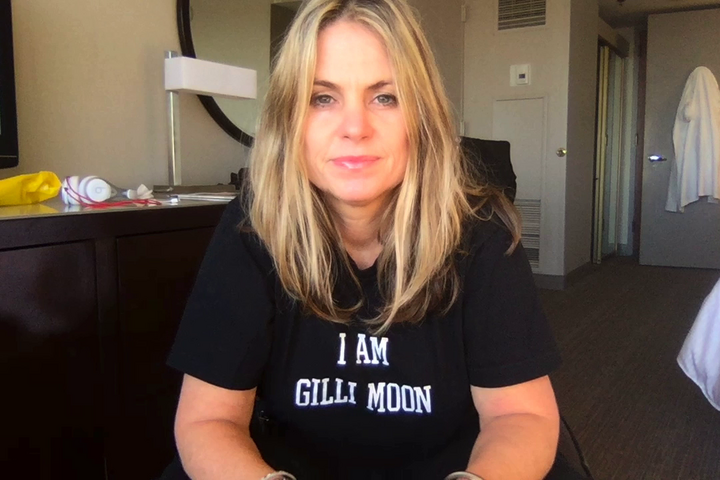 Gilli Moon gives songwriters encouragement, as well as practical suggestions that break down into small steps exactly what it takes. She guides us through mindsets that can turn into obstacles and presents the type of attitudes that can achieve goals. Most enlightening is her perspective that each person can become their own industry and actually profit from their dream. Bernard Baur, Music Connection Magazine. One of the best ways creative people can discover a blue- print for prosperity is to absorb and emulate the strategies of successful artists. Gilli Moon is one of those artists. Gilli bares her soul and shares the attitudes and actions it takes to make a true impact as a professional artist. Gilli Moon helps you to develop a practical and comprehensive logistical plan to marketing your music. However her real power lies in delving into your attitudes, belief systems and ultimate dreams in life which will ultimately decide the success or failure of your efforts. She understands the process, the challenges, and the attitudes one must have in order to thrive in this pursuit. Gilli has helped me to develop my business foundation and create a business and marketing plan to grow it. She is inspirational not only with how she has created and modeled her entrepreneurial business but also how she generously shares her information with others. Throughout her Artist career she has collected and developed resources which she freely shares with private clients, in workshops and through Songsalive! These have all been phenomenal resources to develop my business foundation and create a business and marketing plan to grow it. She has a unique ability to listen and be able to hone in on where she can direct me to resources she has available. Everything you talk about is insightful and it always encourages me to keep moving forward, both as a business woman and an artist/songwriter, and also in my life as a whole--everything wrapped up in a ball that makes me who I am. I'm so glad our lives crossed paths! After our sessions, I hang up the phone thinking, "wow, she totally gets me and what I'm going through!" Or sign up with our Payment Plan! 2 monthly payments of $500. Payment options when you click above.